Specialty: Consumer media, magnetic tapes & storage systems. Major supplier of IBM mainframe storage peripherals during the 1970's & 80's including disk drives and communication controllers. 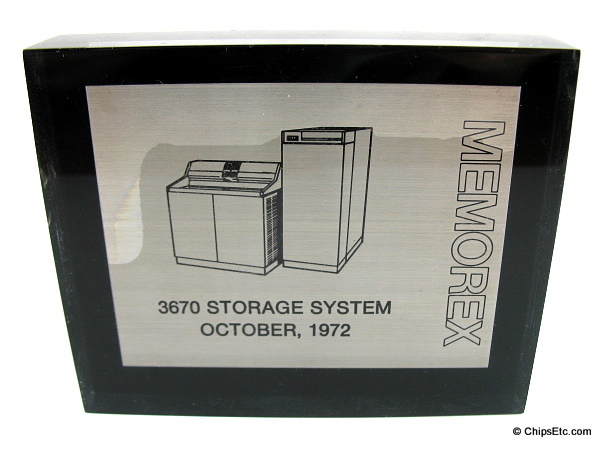 This paperweight commemorates the introduction of the Memorex 3670 Storage System in October 1972. This Removable Disk Drive and it's Controller system was designed specifically for use with the IBM System 370 mainframe computers. 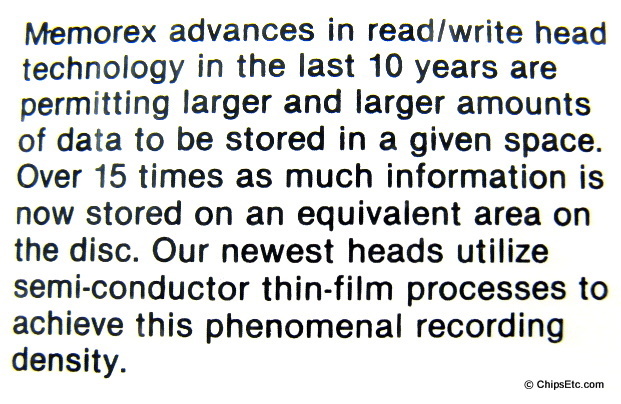 Memorex was the first company to ship an IBM-plug-compatible disk drive in June 1968. 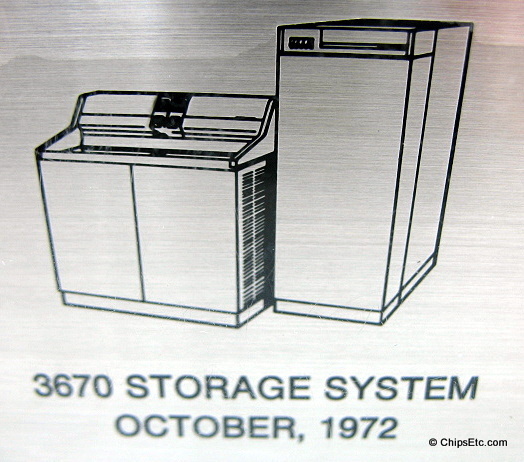 From the 1970's to early 1980's Memorex was the leading independent supplier of disk drives for users of IBM & IBM-compatible mainframes worldwide. 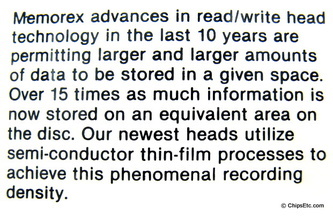 By 1988, Memorex had dropped-out the computer Disk Drive business completely. 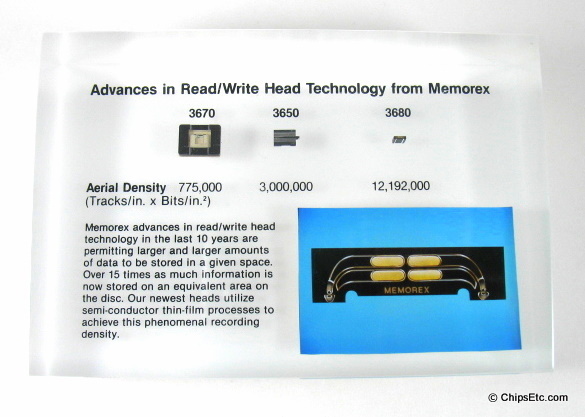 Lucite encapsulates a metal plaque that is engraved with pictures of the system and reads "MEMOREX" down the side. The backing is in black. Measures 3 3/4" wide, 3" high, 3/4" depth. 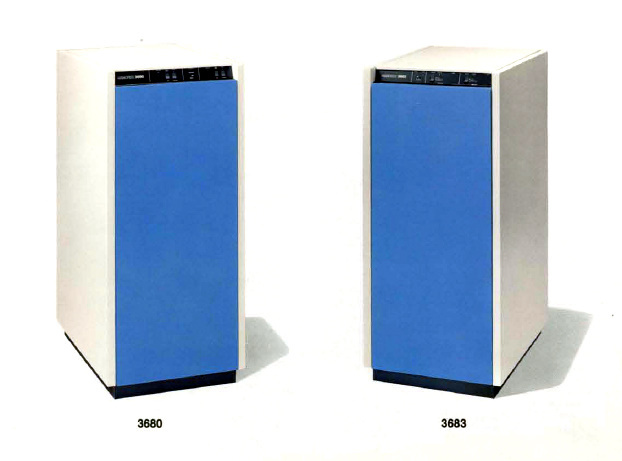 The Memorex Disk Drives were designed for use with the IBM System/370 series of computers as a direct access disk storage subsystem. Thin film head technology used a silicon photo-lithography process similar to the way Semiconductor chips are made. 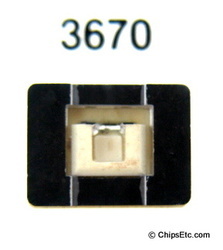 Thin Film Technology replaced earlier Ferrite head technology and offered greater storage capacities and densities. 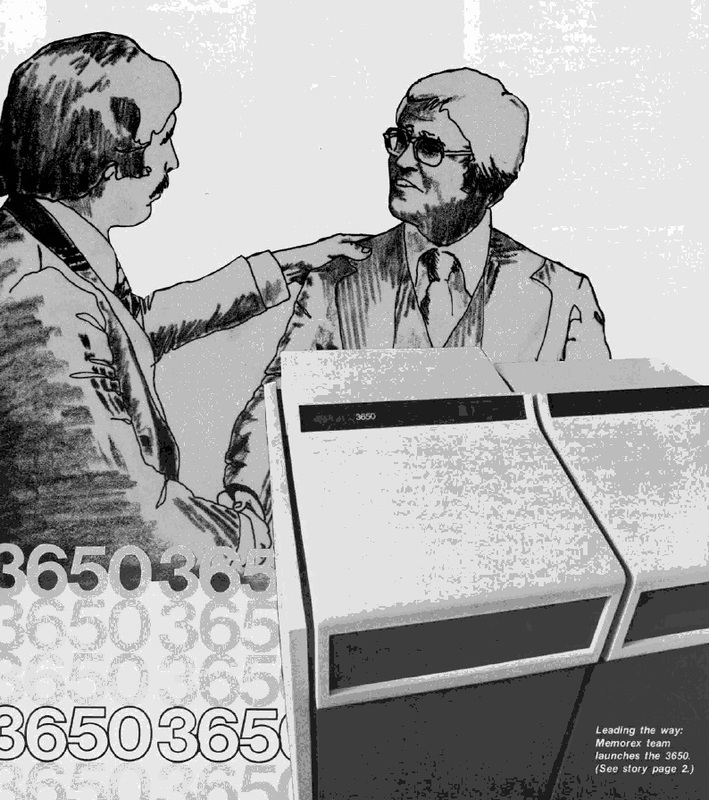 Memorex 3650, introduced September 1976. Memorex 3670, introduced October 1972. 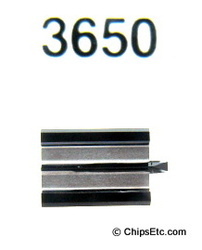 Memorex 3680, introduced in September 1982.